Summer has officially begun for us in Georgia! While the temps have felt like Summer for a few weeks now, we are now done with school for the next two months and ready to take advantage of long days and warm nights with friends. 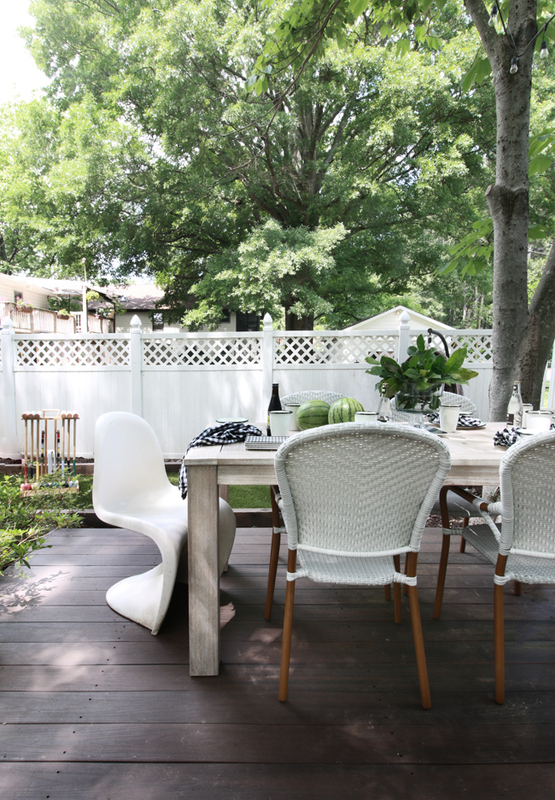 To kickoff the start of our break I threw a little backyard get-together with a few friends this Memorial Day Weekend and spent the evening discussing camps, swim team and play dates. 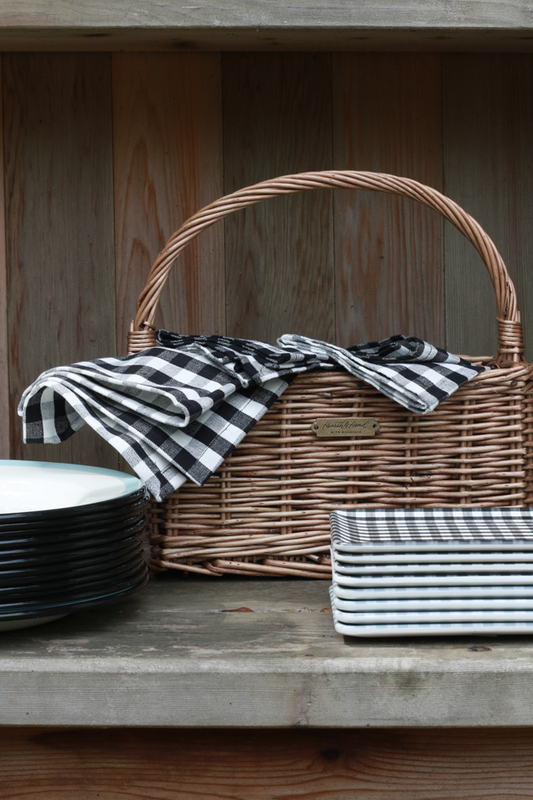 Fortunately, the new Summer Collection from Hearth & Hand by Magnolia for Target just came out and it is absolutely perfect for outdoor entertaining (& picnics!!). 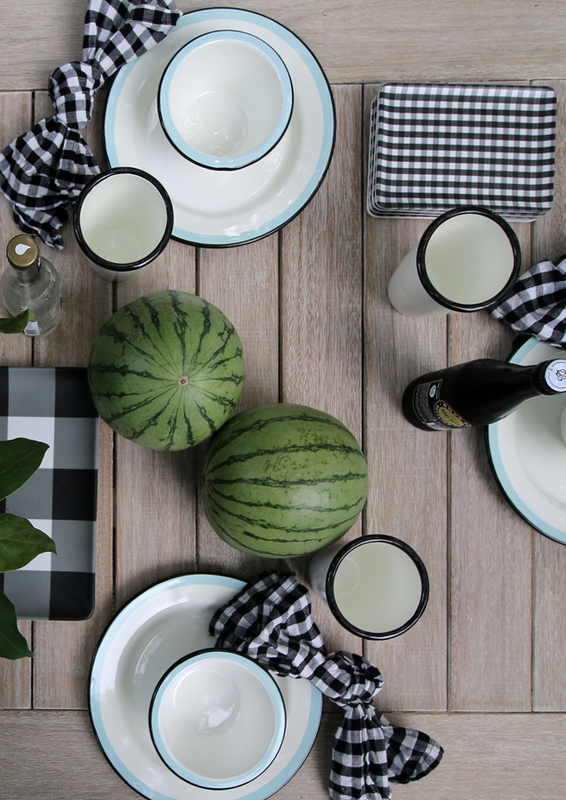 Enamelware plates and cups, gingham accessories and wicker touches all scream Summer in the best way possible. And are perfectly coordinated, obviously. 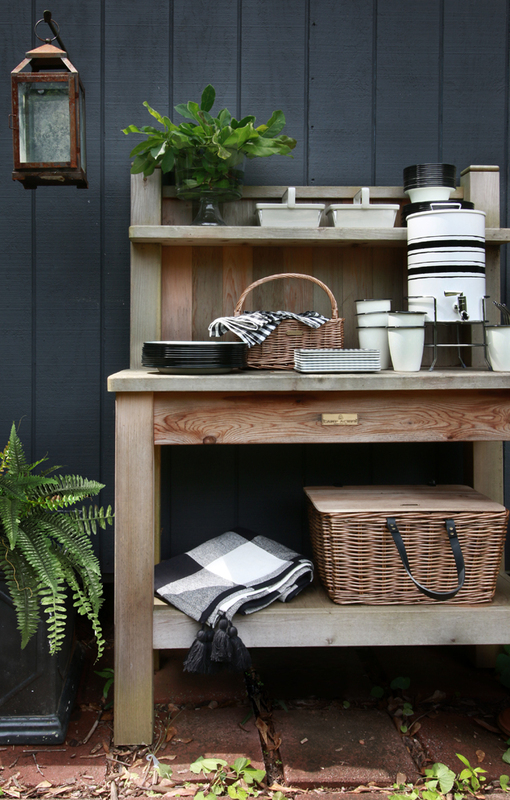 I decided to turn our potting bench into the perfect buffet set up. It was perfect to house all of the little bowls and plates before the food was brought out. I love using unexpected items like this for a party. The kids loved pulling out the picnic blanket and snacking, while on the grass, as we ate at the table. You know I am slightly obsessed with the tassels on the corners of the blanket. Love. I can’t wait to be able to use it along with the picnic basket for our local Concerts on the Park. It will be so easy to pack up and take along. Keeping the party Summer themed, we had a blackberry lemonade in the drink dispenser. I love how it is metal… One less thing to worry about breaking, especially when kids are involved. 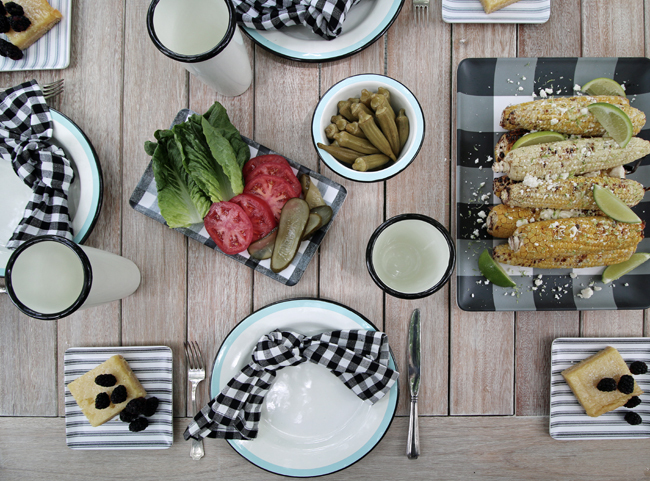 Same goes with the darling enamelware cups. 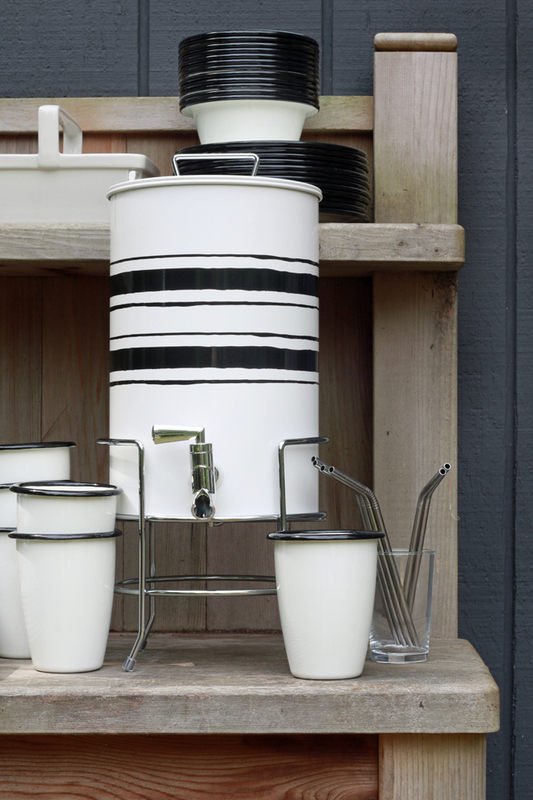 The contrasting black rim against the white cup adds a modern feel to a nostalgic item. 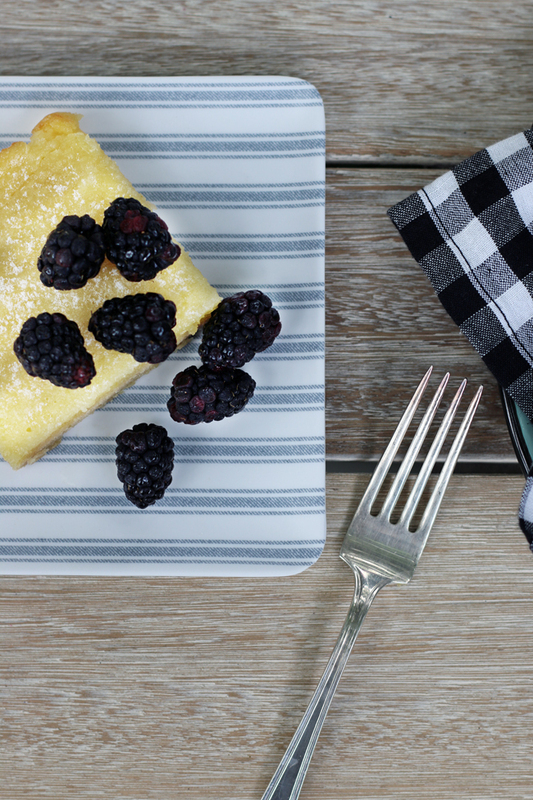 Along with all of the gingham touches, there are also these ticking stripe square appetizer plates. They were perfect for our desserts. 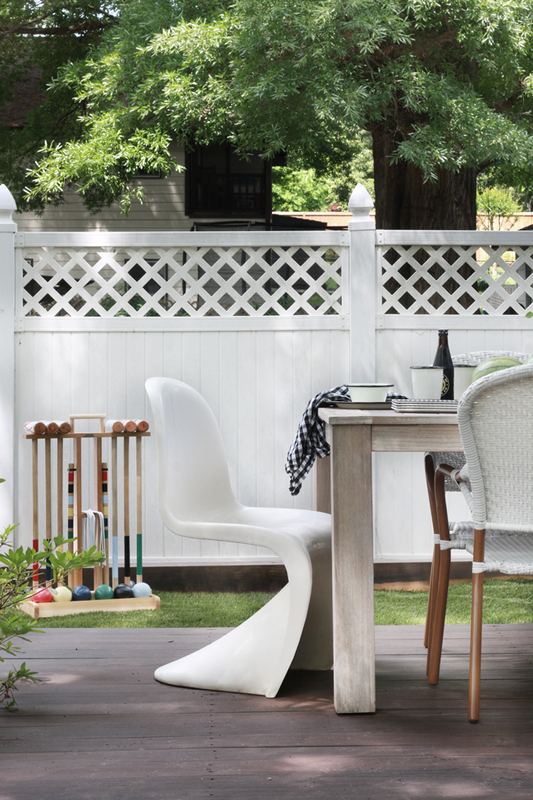 While we sat and relaxed, the kids all had fun turning our Bocce Court into a Croquet tournament with this well designed set from Hearth & Hand. The hand held rack keeps everything nicely stored when not in use and looks nearly identical to a vintage set I saw last week while on vacation. The attention to detail and the quality of the set makes this something that will be used year after year. 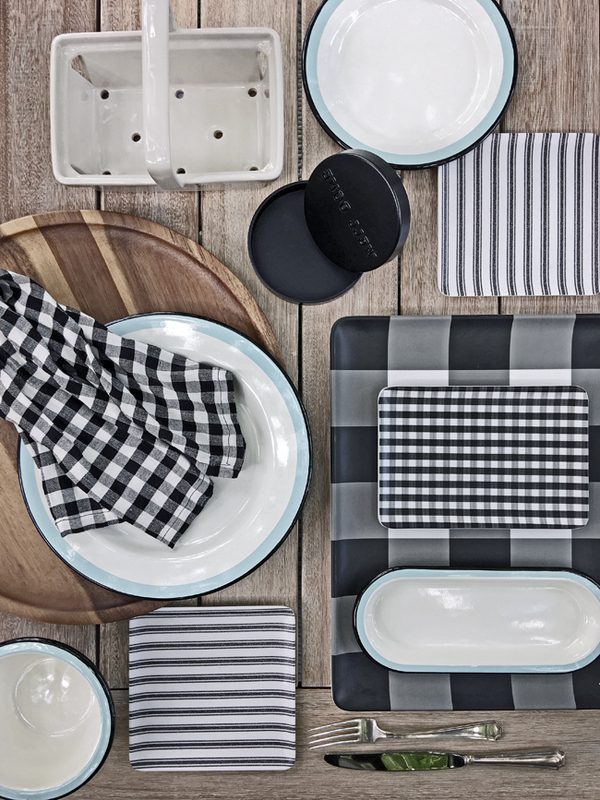 The playful scale of the checks helps to keep the table interesting and not too matchy. 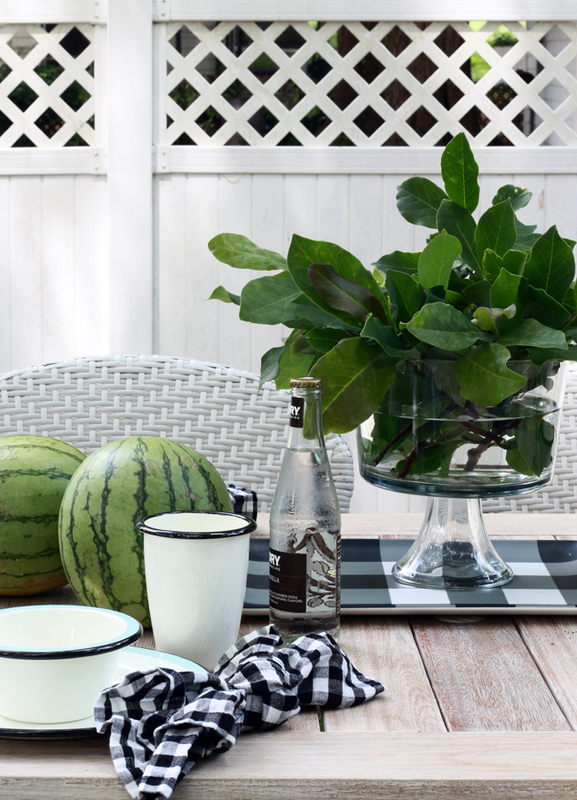 And really the color palate could not be a better fit for our patio. 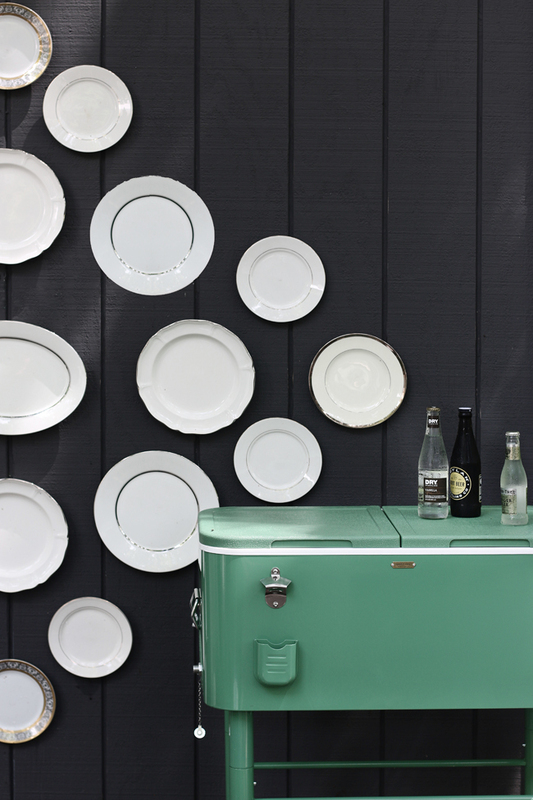 One of my favorite pieces is this fun vintage inspired rolling cooler. It is the perfect size for a party and the convenient bottle opener and handles make this a must have for any Summer Soiree. I am so excited to finally have a couple of months in the sun with my girl, my husband and my friends. And being able to celebrate in style doesn’t hurt either!! Are you ready to kickoff the Summer? !